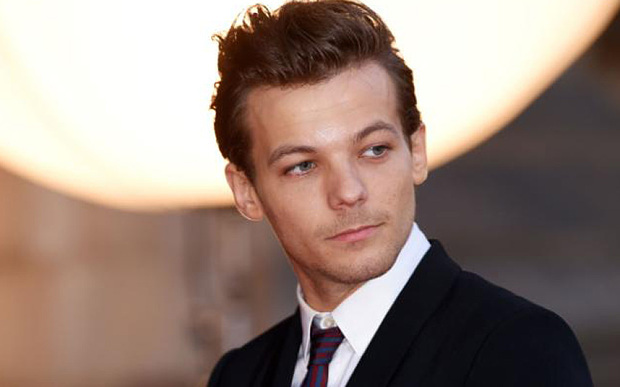 Louis Tomlinson has reportedly relocated his girlfriend Danielle Campbell to his new mansion in Los Angeles which he bought for $19 million. Moving into his Hollywood Hills with actress girlfriend doesn't appear to be something good to his ex Briana who is allegedly feeling jealous of their relationship. Though Briana has a 3 bedded house in Calabasas with the son which the singer has from her ex relationship with “One direction" star, she is upset with her living conditions. She allegedly isn't feeling herself at comfort when she's comparing it with Louis's luxury living style. It is worth mentioning that her house was also rented by the boy-band star. According to some inside reports, Briana is really upset because she is feeling that Louis has done unfair to her. It's certainly gives her feeling bad that she is living somewhere in the suburbs whereas Danielle is living in a luxurious house in LA. Even if Louis's paying the rent of the house in Calabasas for his former girlfriend but she is still jealous of his new girl, and this feelings have reportedly become worse since Danielle has moved into Louis's property. Louis's mansion in LA is supposedly a spacious and luxurious house. Boasting 4 bedrooms and a swimming pool in the terrace, the singer purchased this from Richard Gere. The mansion is also set with a gym and has a spacious balcony with amazing views over the city. The band boy lives in Hollywood and so has no issues in spending lots of time with Freddie. But his dating with Danielle was said to have hurting the ex girlfriend. The couple enjoyed a beautiful evening at Soho House in Malibu which was so close to her dwelling. Briana commented on the dating near her place saying it was like Louis is rubbing his contentment in her face. The former couple, both 24-year old, had an amazing but really brief flirtation with each other. Their association was ended when Briana announced her pregnancy and after Freddie’s birth they had reportedly deteriorated. Media was all the time highlighting the tension between former couple. They have filed a custody case over their son and the court has allowed Louis to have weekly access to Freddie but he can't stay overnight with him. However, sources claim that Briana doesn’t like Danielle around her son. Besides the custody battle of their child, Briana has been very outspoken for her ex's new girl. She took at Danielle using social media when she saw her pictures with Louis in which they were enjoying at seaside in Malibu with her son. As the pictures were swirling on the media last month, Briana posted a message on Twitter in which she indirectly addressed Danielle and said that she can go on with pretending all she wants but she would never be her son's mother. An insider shaded light on Briana's tweet and her relationship with Louis saying there's no doubt it is really difficult situation between the two and it appears as they are always in conflict. But they also can't deny they have to be with each other for the sake of the baby son.